The Insh Coracle Club was awarded with a grant of £500.00 at the end of last year, to purchase some fibreglass coracles to use in the many events they run at Highland Folk Museum each year. These were received by the club just before Christmas and along with other donations, they have been able to purchase one of each type available from Arrowcraft Engineering - an Ironbridge, a Teifi and a Towy. I made this coracle from some plumbing materials I found in a skip. Building the frame was really pretty easy. It is made from ‘Floplast’ PVCU overflow pipe – it’s very easy to work – just heat it with a heat gun or hot water. I based the design on a willow coracle that I had. Your 2018 Journal is on its way! Your 2018 Journal is now in the post and will be with you shortly. Membership renewals for 2019 are now open - don't forget to renew by 31st January to maintain a full year's membership next year. Please read your membership renewal information carefully before renewing. Have FUN, learn NEW SKILLS, MAKE and TAKE HOME your own BEAUTIFUL, TRADITIONAL & STRONG little boat. 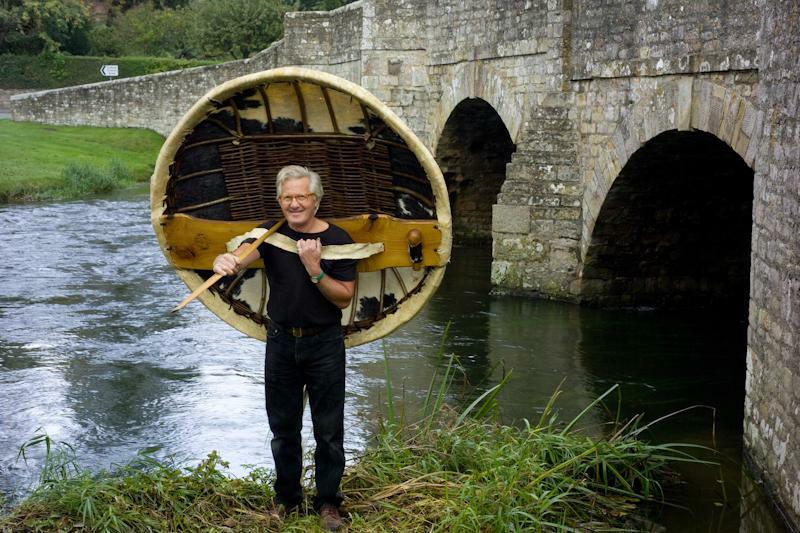 You can also try out a coracle on water and practise the paddling technique! Work along side boat builder and artist Clinton Chaloner to make your own personalised paddle. A course suitable for water enthusiasts, canoeists and coraclers you will use a single piece of cleft ash to craft a paddle suited to your needs.